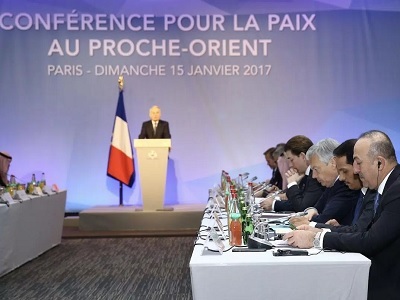 The conference held in Paris on Sunday looking at the Palestine-Israel conflict concluded with the usual final statement calling for Palestinian and Israeli commitment to the two-state solution; among other things it encouraged “meaningful” direct negotiations and called on both sides to “refrain from unilateral steps”. The conference was like a funeral with lots of mourners, but no corpse. What sort of mindset does the PA leadership have? Abbas has just seen the Israelis dismiss out of hand a resolution by the UN Security Council condemning illegal settlements and yet he thinks that this pale shadow of a conference will stop settlement expansion and deter Israeli violations? The French themselves said that the peace conference was not intended to put any pressure on the Israelis or Palestinians. Faced with this fact, what can we expect from such a dead event which had a final statement that is not really worth the paper it is written on? Keeping the moribund two-state solution alive does not reflect the position of the Israelis and the situation on the ground. Israel’s Ynet News, for example, said that Netanyahu has ruled out a return to the 1967 borders (themselves based upon the 1949 Armistice — the “Green” — Line); many members of his coalition oppose Palestinian independence and support expanded settlements both on ideological and security grounds. This means that the “two state solution” is anything but a solution as far as Israel is concerned. Hence, any effort towards that end is wasted. Although Israel insisted that it would never commit to any of the conference recommendations, it nevertheless insisted on influencing the final statement, according to Ynet News and others. 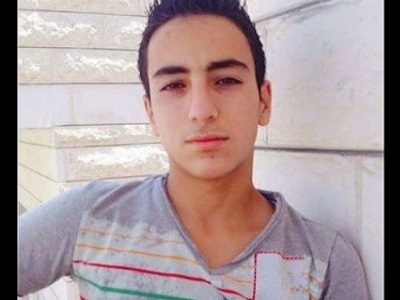 Who did the dirty work if Israel was not there in Paris? The United States, of course. Israel basically told Secretary of State John Kerry to play the game on its behalf and he carried out his mission successfully. Netanyahu’s office confirmed as much. Furthermore, just to make sure, Britain — in Paris as an observer, not a participant — cast doubt on the qualifications of the 70 nations which did take part to sponsor anything relating to the Palestine-Israel conflict. As an observer, of course, Britain couldn’t back any final statement which contained clauses against Israel’s wishes, even if Theresa May’s government wanted to. Given her criticism of Kerry’s post-resolution 2334 statement, it is doubtful if that would have been the case. 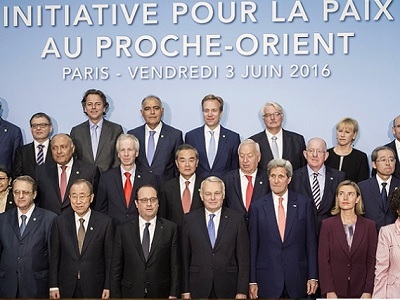 All in all, it is hard to see how anyone could think that the Paris Conference was a worthwhile exercise. Platitudes and rhetoric do not change the situation on the ground, nor do they give us Palestinians much cause to be optimistic. As its response to resolution 2334 demonstrated, Israel is going to do what it wants in terms of the colonization of Palestine and to hell with the international community. In both the outgoing and incoming US administrations it has firm friends; nothing said in Paris or elsewhere is going to change that. If there is a corpse at this particular funereal gathering, it is that of an independent Palestinian state.